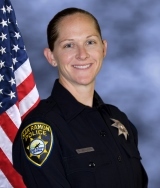 San Ramon Police Department’s Youth Services Program has developed over the years to better address the community’s changing juvenile needs and to offer to the youth of our community the opportunity to succeed. The School Resource Officer (SRO) Program was developed to address juvenile crime and safety concerns in our local schools. The SRO program places a police officer in the middle and high schools with the goal of creating and maintaining a safe, secure, and orderly learning environment for students, teachers, and staff. The SRO program reflects the community’s desire to ensure that its schools are safe and secure. SROs represent a proactive strategy designed to bring prevention and intervention into the schools. 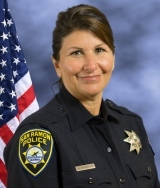 A San Ramon PD SRO is on campus periodically at the middle schools - Gale Ranch, Iron Horse, Pine Valley, and Windemere Ranch and daily at the high schools - California and Dougherty Valley. The presence of a uniformed police officer provides a deterrent to criminal activity by discouraging unwanted and undesirable visitors on the school grounds or in the surrounding area. SROs provides support and training for school staff on issues of juvenile law, substance abuse, and school safety. They investigate crimes committed by juveniles and are involved in planning and executing several enforcement programs throughout the year, such as juvenile drinking suppression and the “Every 15 Minutes” program. The SROs also co-facilitates the TAG and Divine Minds intervention groups at the middle and high schools. Because of the affluent area, alcohol is very accessible. Parents work or are absent and there is too much unsupervised time. Younger children tend to be more inquisitive and will experiment. There is a parental perception that drinking is a rite of passage and not a serious problem. The School Resource Officers are positive role models for many students who are not exposed to such role models in today’s society, and their presence in the school sends a strong message that violence and certain behaviors are not acceptable.